Cozy up in your new solid wood Olbrich Garden bed. This American made bed has a little modern twist to it with a warm style. 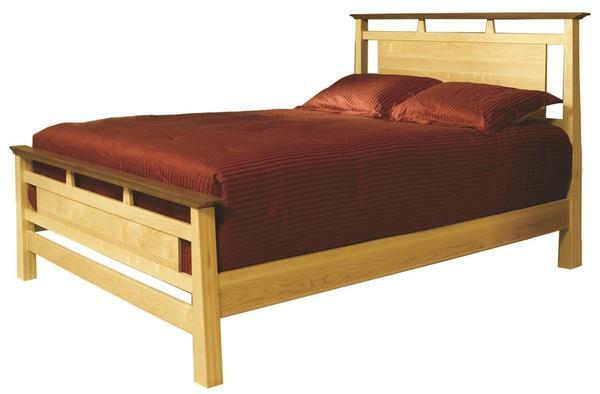 This solid wood Amish bed is available in a twin, twin XL, full, queen, king, and California king. With solid wood construction, pegged support, and authentic Amish craftsmanship, your new bed will be a true heirloom. Choose your wood type and finish to match your existing bedroom furniture to get your order started today. If you have any questions, please contact one of Amish Furniture Specialists today at our toll free number - 866-272-6773.